Warner Bros. Has just released its latest marketing art works for its upcoming sequel to 2010's "Clash of the Titans", "Wrath of the Titans". The materials consist of two posters individually featuring Perseus and Kronos and a totem layout featuring the main characters Perseus, Andromeda, Agenor, Hades and Zeus. A decade after his heroic defeat of the monstrous Kraken, Perseus (Sam Worthington) is attempting to live a quieter life as a village fisherman and the sole parent to his 10-year old son, Helius. Meanwhile, a struggle for supremacy rages between the gods and the Titans. Dangerously weakened by humanity’s lack of devotion, the gods are losing control of the imprisoned Titans and their ferocious leader, Kronos. Perseus cannot ignore his true calling when Hades along with Ares (Edgar Ramírez) switch loyalties and make a deal with Kronos to capture Zeus. 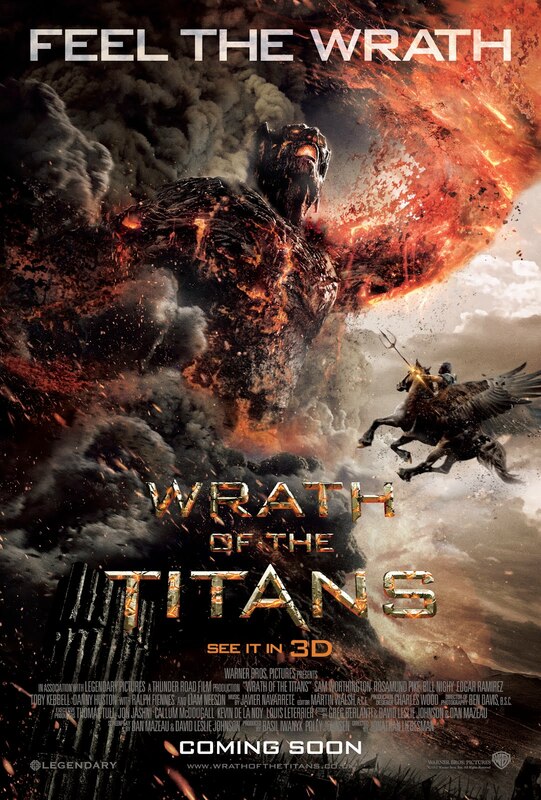 The Titans’ strength grows stronger as Zeus’ remaining godly powers are siphoned and hell is unleashed on earth. Only the humans with Perseus can help save the world now. You can catch the individual posters after the break. 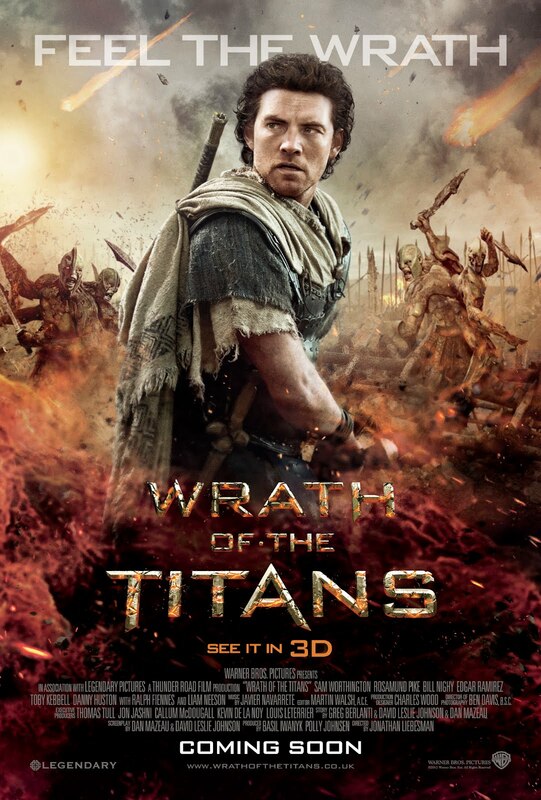 Opening across the Philippines in March 2012, “Wrath of the Titans” is distributed by Warner Bros. Pictures, a Warner Bros. Entertainment Company. This is looking to be a bigger, badder and sicker film than the first one!